Colour and B&W ws. Beginner /elementary level. 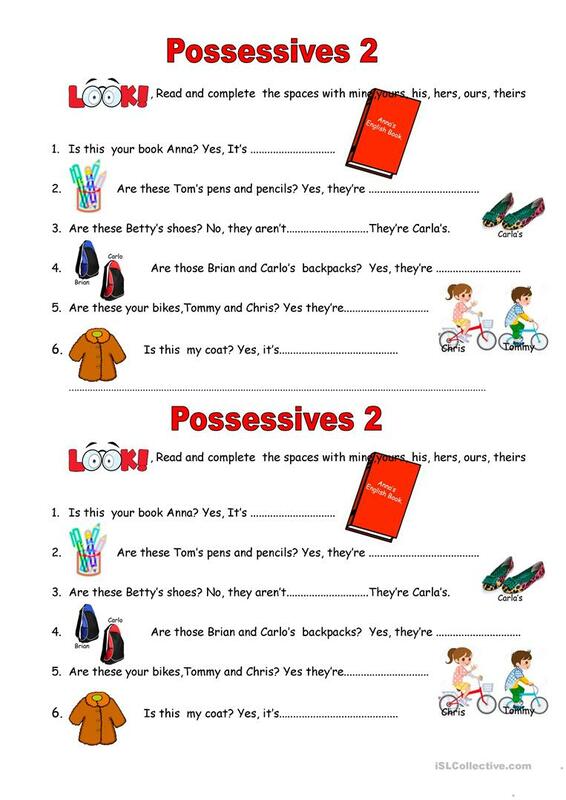 Practise of possessive pronouns.Sts have to read and complete the blanks with the words provided.The can also ask and answer questions to their classmates too. This downloadable printable is best suited for elementary school students and students with special educational needs, learning difficulties, e.g. dyslexia at Beginner (pre-A1) and Elementary (A1) level. It is a valuable material for honing your learners' Spelling, Speaking, Reading and Writing skills.